Twin Production is a South Asian Indian wedding service provider in 4K UHD cinematography, videography and photography with affiliated photographers to select from New Jersey / New York area. Collection of techniques, skills, methods, processes and delivery used to capture your Wedding day or event. Your final outcome includes the level of creativity and professionalism that Rajiv and Sanjiv have displayed throughout their career in last 15 years. I wanted to thank you for the excellent videos you provided us of my mehndi, vidhi and reception. I can honestly say that you are, hands down, the best videographer I have seen. Your unique, quality work speaks for itself. You have made our event very memorable. I particularly like the fact that you were unobtrusive yet comprehensive in obtaining your footage. Not once did I feel that you were in my face or impeding my celebrations. I would recommend you guys to anyone looking for a videographer and I look forward to using you guys in the future. Please keep up the excellent work!! We received the Blu-ray DVD - it looks absolutely superb! The attention to detail is amazing. Thank you so much! You guys have gone far beyond our expectations. Your customer service is simply unparalleled in comparison to all the vendors we worked with at the wedding. I speak for both myself and Wagish - we are so lucky that we were able to work with such creative talents. We hope to work with you in the future! 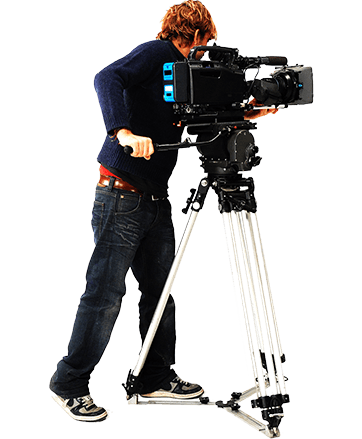 With over 20 years of experience, Twin Production is leader in Indian wedding cinematography with large Sony F65 Super 35mm 8K CMOS sensor format imagery. We specialize in a Indian Wedding Photography & Videography Based in NJ New Jersey. Competence, Creative & unparalleled quality standards, Twin Production takes moving wedding imagery to the next level. Twin Production is a small independent company created by twin brothers, Rajiv & Sanjiv. We have been working for over 15 years in the South Asian wedding industry, documenting Indian weddings mostly in NYC, NY, NJ, CT, PA, area. Our present technology for live events and weddings are high end broadcast HD & 8K, 4K UHD Sony F65. We were the first to acquire HD (2007) & 4K UHD (2011) technology among South Asian east coast Indian wedding vendors. We began our journey in 1994 with an S-VHS camera, Amiga 4000 Toaster and Newtek editing software. We have come a long way from working full time at TV Stations such as SkyView Media Group (EABC) Sony, DirectTV, Star Plus and AVS as creative editor and camera operator. While we were in college, we also did Film Workshop at NYU. We have a business degree and programming / web-designing certification as a front end web developer and graphic designer. We continue to self-train; with recent achievement of a Private Pilot and Drone (UVA) Pilot license. We worked full-time at AT&T (Sanjiv) and Razorfish NY (Rajiv) as programmers as well as documented Indian Weddings over the weekends. Eventually, we decided to pursue the business on a full time basis under the label Twin Production. We have earned a reputation of highly trained professionals, dominating the south Asian Indian wedding services in 4K UHD cinematography, videography with affiliated photographers. We capture a limited number of weddings each year in order to focus on providing every bride and groom with the best possible service. Contact us to set up a free consultation and to see if your wedding day is still available! Finding the best Indian wedding Photographer & Videographer in Tri State & Surrounding States? Sometimes the only thing that holds the bride and groom back is not knowing the right vendors to a more reliable services and fear of not finding right venders for their big day. As part of Twin Production’s managed services, we’ll help & guide you to find the list of venders for your wedding planning along with photographer, videographer, DJ's, floral & decor, wedding planners, priest, catering vendors & wedding banquet facilities in the tristate area. Rajiv / Sanjiv - two brothers owning twinproduction.com; filming & capturing south Asian Indian wedding exclusively in the tristate & surrounding states. Privacy of your wedding or event creation-we take it very seriously. 4k ultra HD cinematic wedding film & HD wedding video. 8k ultra HD wedding photography from 16bit raw files (Sony f65 digital motion picture camera). We never outsource our work, it is captured, edited & delivered, from start to finish by us since last 15 years and we want to keep it that way. Our objective & ethical commitment is to provide our clients with an exceptional service. Unique style of capturing unobtrusive, comprehensive footage in capturing your wedding or event day memories. Over the period we have worked with many South Asian wedding vendors in the east coast and have developed a very good working relationship with them. Capturing & filming Indian wedding photography, cinematography & videography full day with self-discipline. We have outstanding craft skills, creativity, appropriate technology and a passion for capturing moving images. Copyright since 1994 | Twin Production | All Right Reserved.